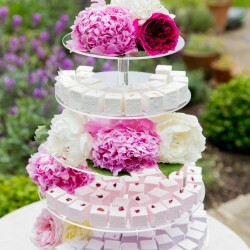 Sophisticated and delicious marshmallows handmade in our London kitchens. Gluten-free, all natural. La Maison Guimauve marshmallows are inspired by a traditional French recipe for the guimauve, a cherished confectionery in France. We use only the finest ingredients and use only natural fruit flavourings and colourings - no flavour enhancers or preservatives. Always freshly made, the marshmallows then retain their lovely melt-in-mouth soft and cloud-like texture for longer. 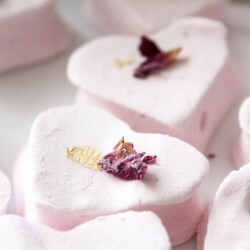 Soft, delicious and elegantly packaged, La Maison's marshmallows are perfect as a wedding favour, a sophisticated gift or to munch together watching your favourite movie! Twice winner of the prestigious Great Taste Awards 2017 As Featured on Channel 4 Supplying top London hotels. Your marshmallows are divine! They are just as they should be - soft, fresh and shot through with delicious flavour. We will definitely order again. Soon. La Maison Guimauve - you absolutely rock. Your wedding isn't complete without these beauties! An absolute pleasure to work with - positive, professional and loads of vision...Sal and Yush's wedding July 16.